Today’s modern home requires a stable network, in fact it’s the foundation and a requirement for a reliable Smart Home. It doesn’t matter if you spend $500, $5,000, $15,000 or $150,000 on an AV system or a smart home system. The performance of all the devices on the network is only as good the infrastructure. Would you buy a high-performance Bugatti Chiron, only to fill it with regular unleaded fuel? Of course not, but that is exactly what you do when you use the integrated modem/router/wireless unit supplied by the Internet Service Provider, or an integrated router/wireless “all in one” unit purchased from the local electronics store. Unlike the shiny, sleek AV equipment in the open space that we can touch, see, feel and experience. The network is mostly invisible, stashed in a location that’s out of mind and out of sight, like a shelf, in a dark closet, in a basement or in a rack. Working relentlessly 24/365, trying to keep up with all the services you require; like your streaming music, streaming video, email, research, distant learning, work, etc. While the network is the most utilized system in the world; it is also the most neglected and abused. The only time you think about it is when you lose connectivity, or when your system doesn’t work the way you thought it would. If you’ve ever experienced slower than expected download speeds, poor quality video streaming, heard every other word on a conversation on a Voice over IP (VOIP) phone service, had intermittent wireless connectivity, or your connected devices just don’t seem to work well (or consistently), then you’ve likely experienced a network break down. Ironically, most people don’t realize it’s a network issue, and they falsely blame the AV system or the device for the problem. It is the foundation of your smart home and your AV system. It is the single most important element that you should never worry about. 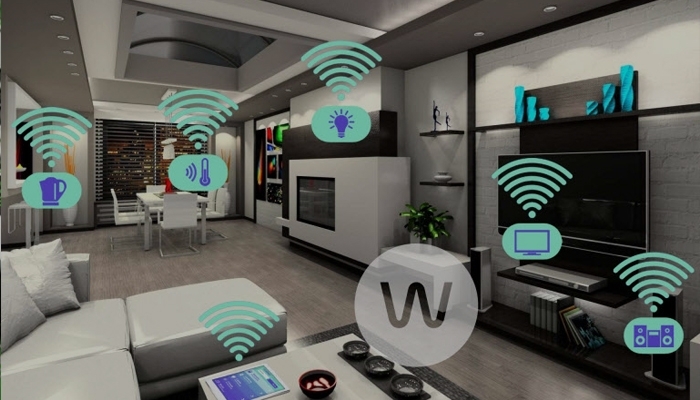 The more devices you connect, the smarter your home is, the more you use cloud-based services, the more important your network becomes. Just considered how many devices require network connectivity to work properly? Smart TV’s, Smart Thermostats, Smart Phones, Smart Security, Smart Intercoms, Lighting Control; or the streaming services provided by Apple TV, Kodi, Netflix, Amazon Prime, VoIP or Skype calls, or even the possibility of medical devices for the aging in place. The secret sauce is an enterprise grade network for a smooth-running AV system, or a smart home installation. A lot of home builders won’t even consider having a home network integrated with the new construction. Why? The majority of builders simply do not understand technology, they might not care about the homeowner’s technology needs, they might want to build a house as cheap as possible. Builders might consider a network a luxury, however that is a discussion with your builder. Let me know their response is. I would like to know the reason. Having a system installed aftermarket will cost you more money over the life of the home. Cutting walls open (when needed – breaking draft seals), disrupting the insulation (losing R value), other construction trades materials in the way will cause more time for installation, and list goes on. It costs less than a cup of coffee per day to have a network included with your new home construction. When infrastructure is installed correctly, you will increase the worth of your investment and enjoy the benefit of buffer free system performance. Demand a network in your new home construction.